Windsor Prep (Grades 9 through 12) is a state-approved, nonprofit private school for students with special needs who exhibit learning, behavioral, and attention disorders. In addition, many of our students are diagnosed with anxiety, depression, and Autism Spectrum Disorder. We provide a therapeutic environment to address students’ social, emotional, behavioral, and academic needs. Our primary goal is to improve students’ academic achievement and social functioning for successful reintegration into the public schools. This is accomplished through a system of positive reinforcements, therapeutic interventions, and a standards-based curriculum. We provide the means to build academic achievement and self-esteem in students with a history of underachievement in school, enabling them to learn and thrive in ways they never thought possible. Students are provided guidance to enter post-secondary programs. 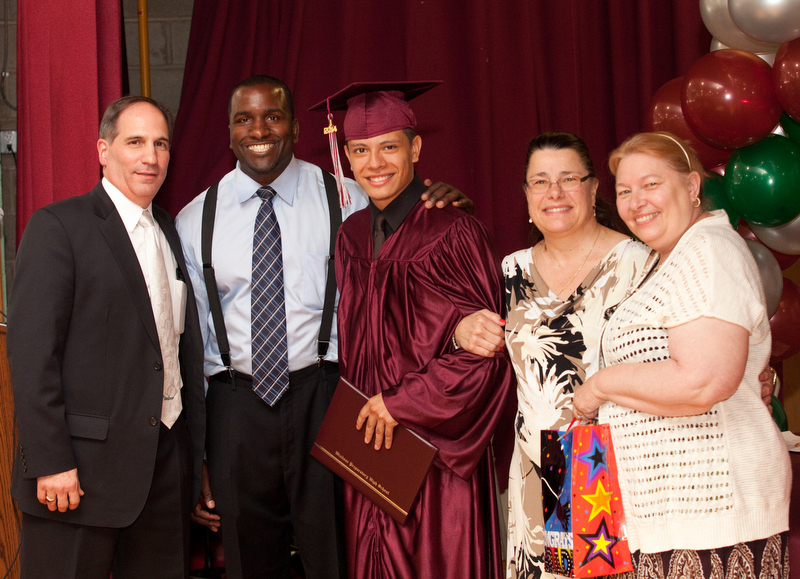 Many of our former students have successfully graduated college or are currently enrolled. When behavioral issues prohibit your child from functioning in a traditional school setting, we can help. At Windsor Prep, our primary goal is improving the educational and social functioning of your child, through positive behavior reinforcement. We participate in the National School Lunch and Breakfast Program. Printable School Cafeteria menus are ONLINE NOW! A well-rounded academic program prepares our students for a successful future. Students enjoy a traditional school experience including sports, arts, and other extracurricular activities. We provide students with proven strategies to help manage their academic and behavioral issues. Make an appointment to tour our school and meet with one of our Admissions coordinators. in High School and BEYOND. The “REACH” Program offers a curriculum geared toward students who struggle in the traditional high school setting. Academic, social, language and employment skills are taught through a functional, life skills curriculum correlated to the NJ Student Learning Standards. The Transition Assistance Program offers students who have completed all the state academic requirements for graduation an opportunity to continue their education in the areas of career exploration, employment skills and independent life skills. Career and transition services will be offered to students grades 9 through 12. Students will engage in numerous hands-on vocational assessments, providing the opportunity to learn the necessary skills for daily living and independent functioning in a variety of environments. Windsor Prep has integrated iPads into the classroom environment. Students are excited and engaged in rich learning experiences using the numerous educational apps available for this new technology. Have Questions about Windsor Prep?